We have, thus far, experienced a rather mild winter here in the Twin Cities and surrounding areas – a few mere dustings of snow that did not persist for long. But winter is a long way from over, and just because we are not buried in two feet of white holiday jubilation does not mean we are out of the woods. Although there is no substitute for stopping into our store to see the countless products we offer, to be amazed at the unique diversity of items we have available, or to utilize our pawn and loan services, we also list some of our featured inventory on eBay and Gunbroker online. 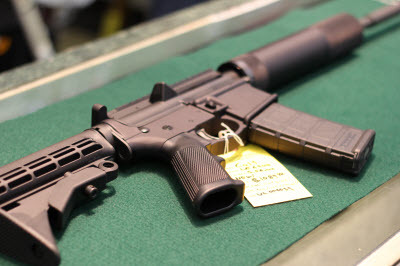 eBay.com is an auction and shopping website in which people and businesses buy and sell a broad variety of goods and services worldwide, and GunBroker.com facilitates the sale of firearms and related items by bringing buyers and sellers together.